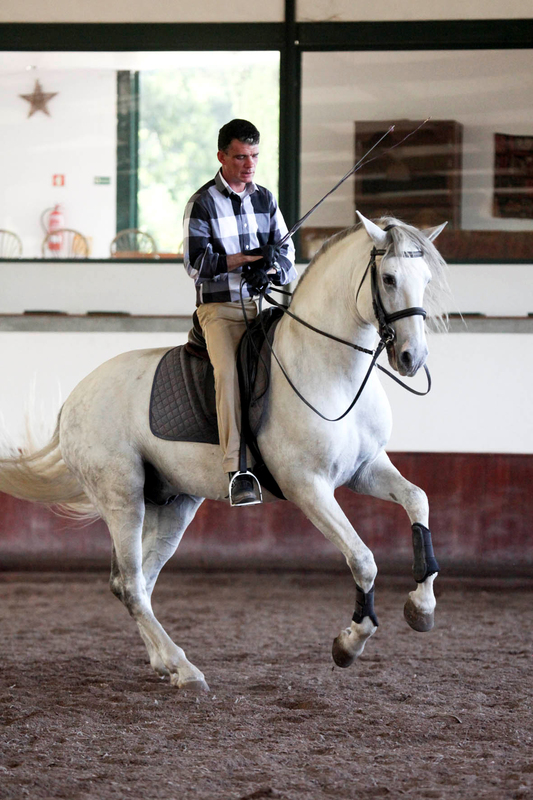 For nineteen years, Rodrigo Matos was a Principle Rider with the Portuguese School of Equestrian Art and, during much of that time, he was a Senior Level Instructor at Morgado Lusitano. 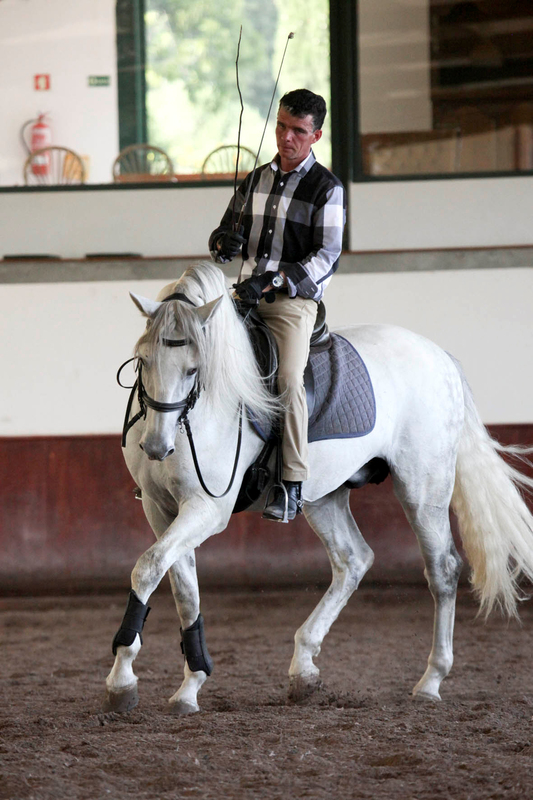 Rodrigo now travels throughout the year, giving clinics around the world, teaching horses of all breeds and riders of all levels, to work together in harmony. 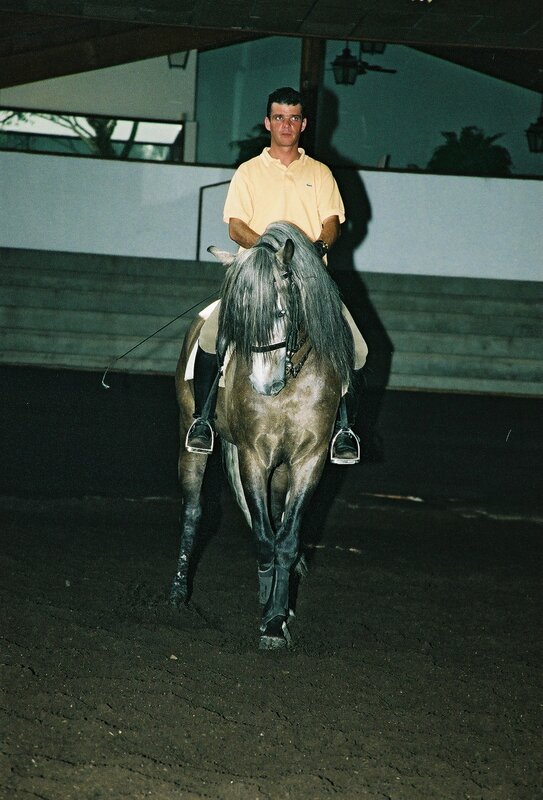 Rodrigo began riding at an early age and his skills quickly became apparent to those who watched him communicate with horses. 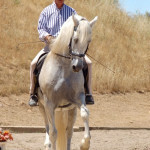 His training began at the Morgado Lusitano facility in Lisbon where he was schooled under the well known, Senhor Nuno Palma. 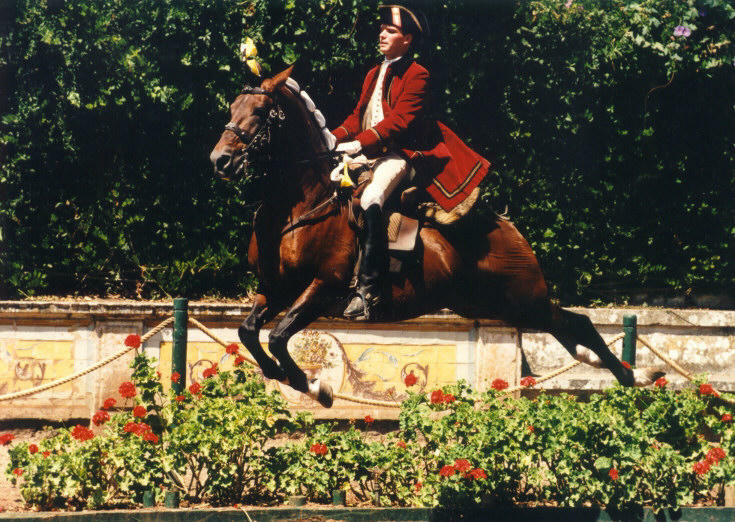 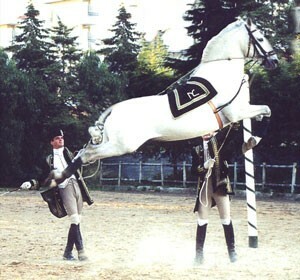 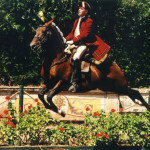 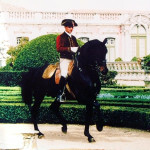 When Rodrigo was 17 years old, a position at the Portuguese School of Equestrian Art became available and Rodrigo was selected to fill the position. 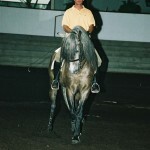 His talents matured under the watchful eye of modern day masters and, after a few years, he became a Principle Rider at the School. 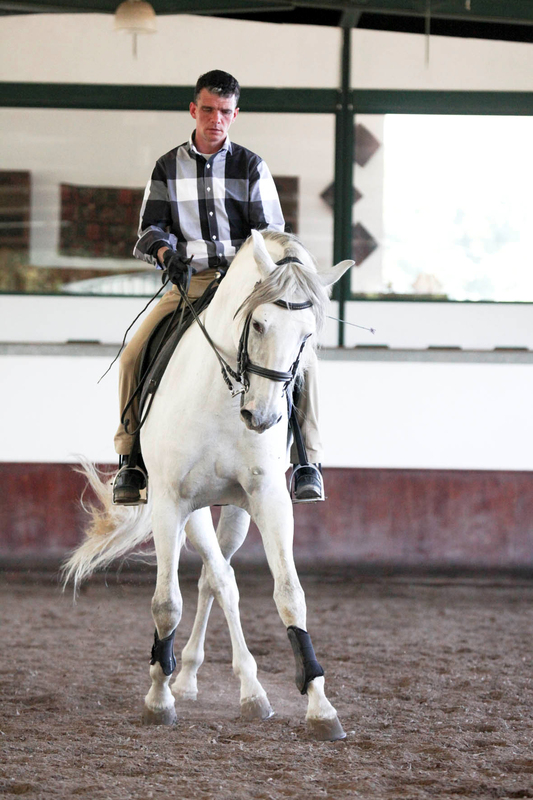 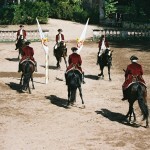 With this esteemed position, Rodrigo became a Senior Level Instructor at Morgado Lusitano. 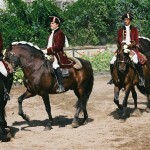 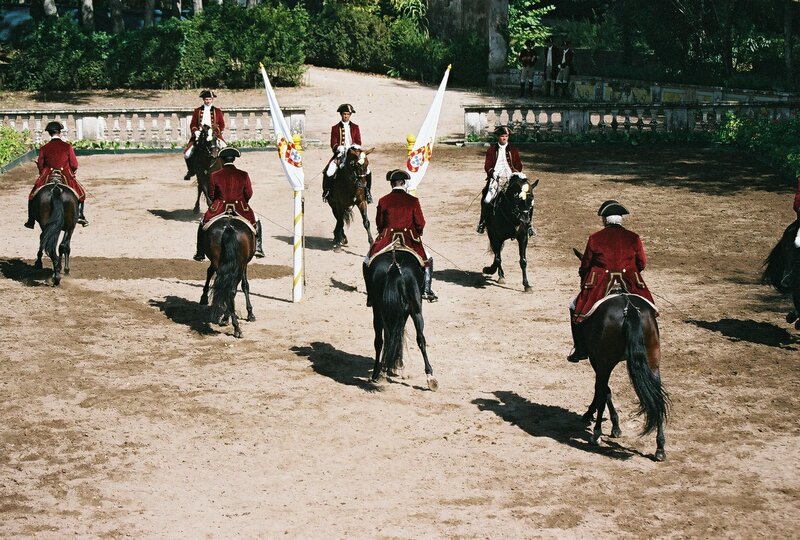 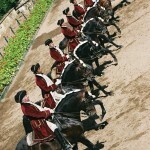 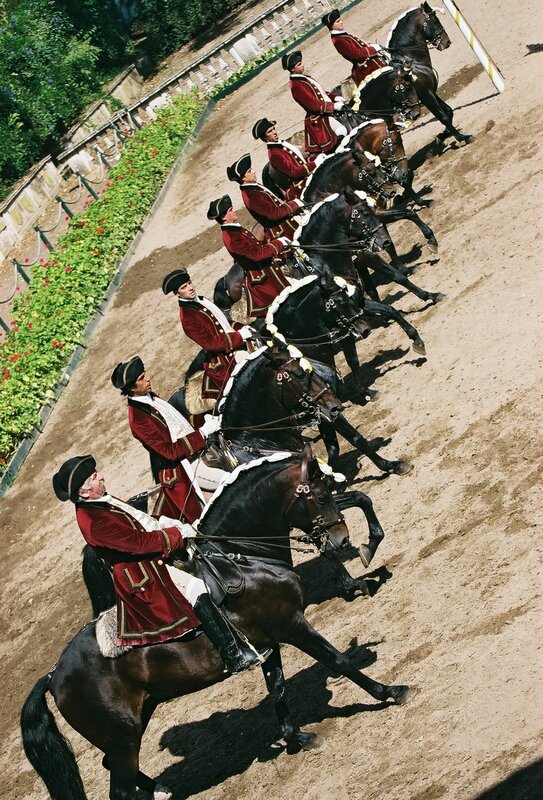 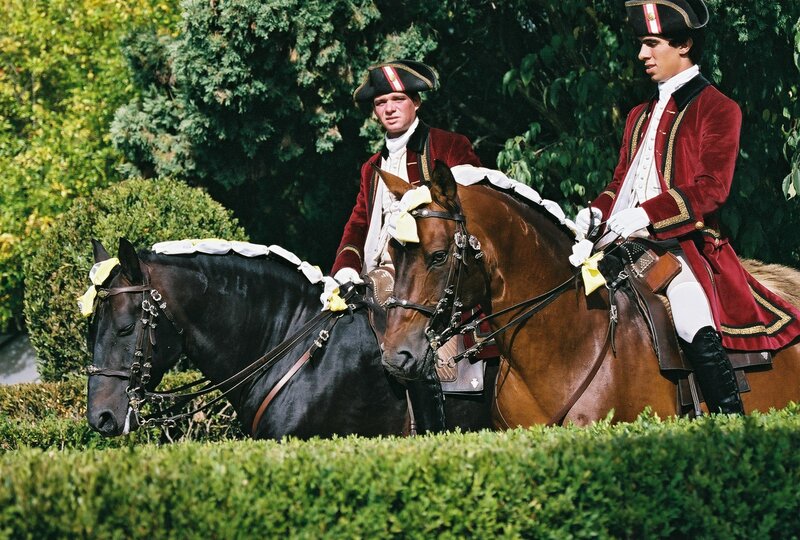 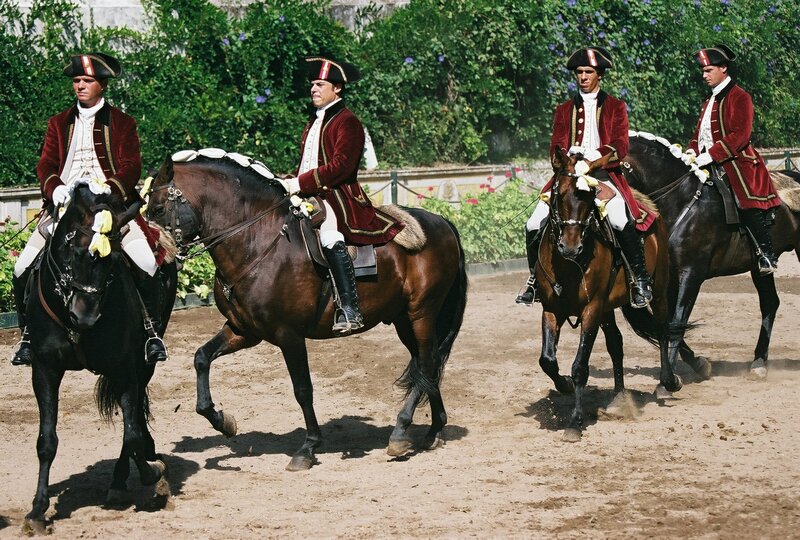 During his time at the Portuguese School of Equestrian Art, Rodrigo gained a wealth of experience training horses. 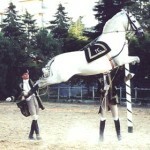 He performed the most demanding high school airs, including capriole, levade and courbette. 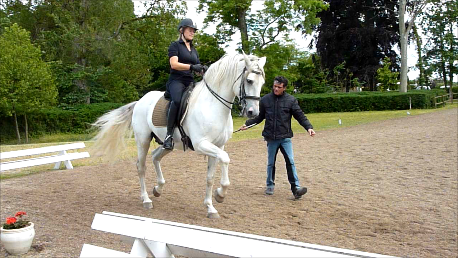 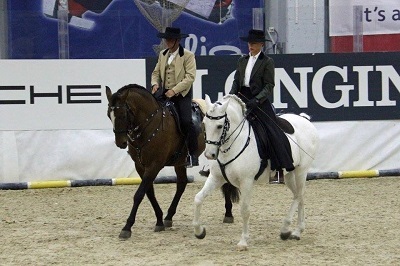 During the shows, Rodrigo also worked with the other riders as a part of a ten rider quadrille. 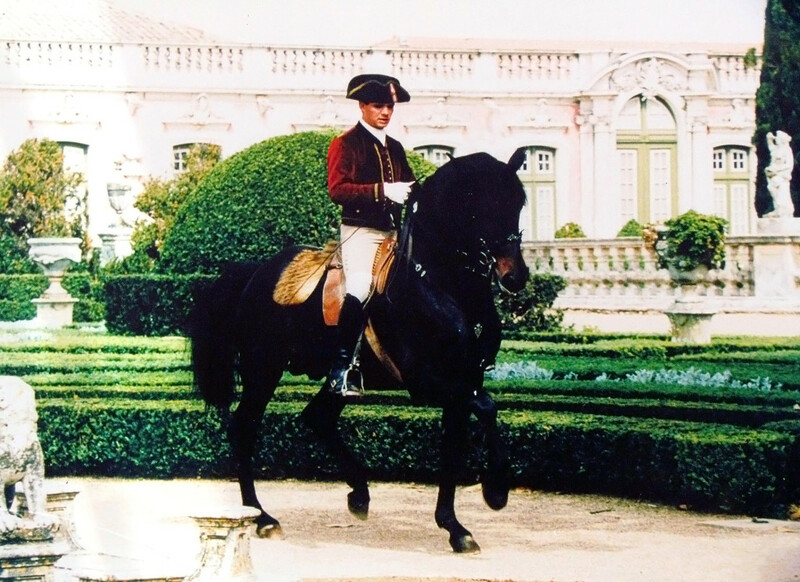 In 2007, Rodrigo had the honor to perform with the Portuguese School of Equestrian Art in Paris for the first joint presentation of the four European Schools of Classical Dressage. 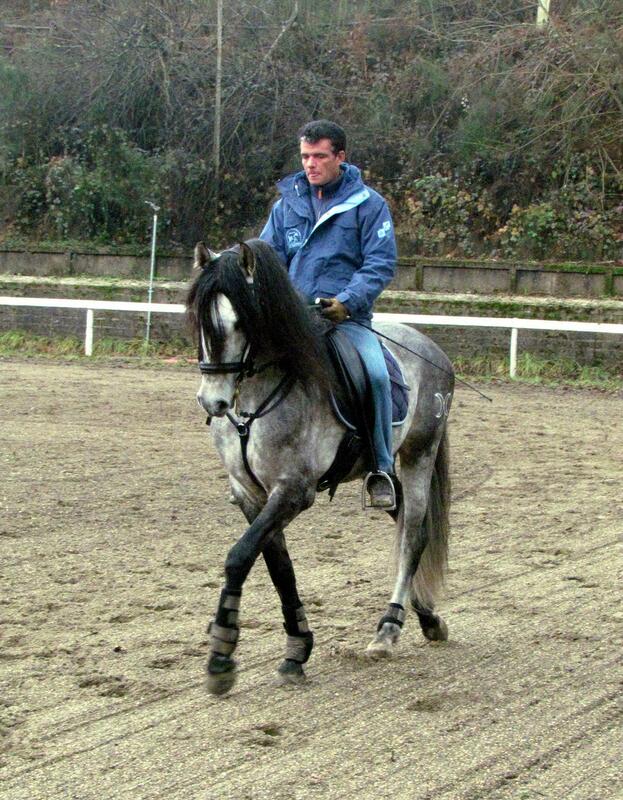 Today, Rodrigo is one of the most sought after clinicians throughout the world, travelling many months per year. 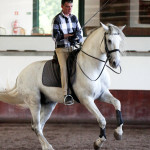 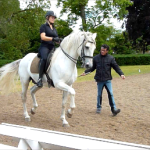 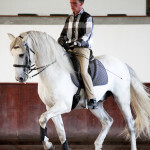 Alongside his travels Rodrigo also works as a Senior Level Instructor at Morgado Lusitano in Portugal, to which international guests are welcomed to learn the art of classical dressage riding schoolmaster Lusitanos. 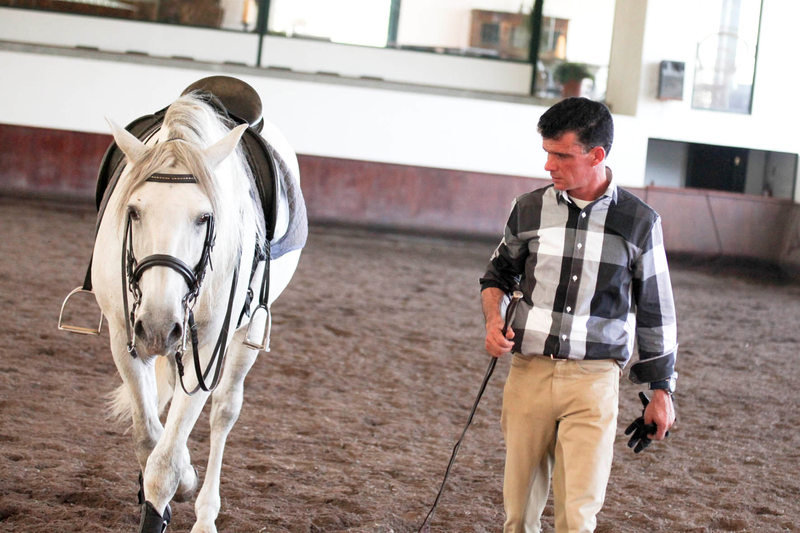 Rodrigo Matos’ philosophy is that all communication with horses is built upon passion, love and respect. 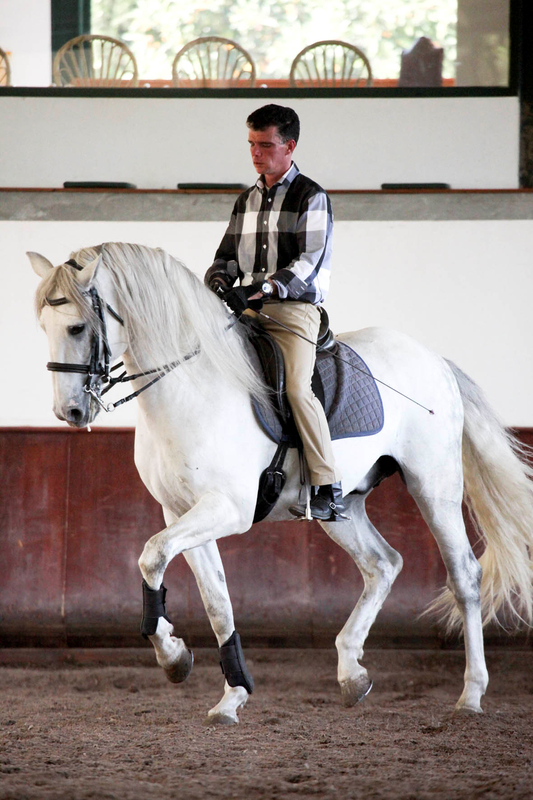 He strives for lightness in riding and, through his thoughtful instruction, tries to build harmony between horse and rider. 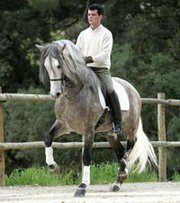 Rodrigo does not want to rush the education of a horse, feeling that it is important to give the horse time to evolve at a comfortable pace. 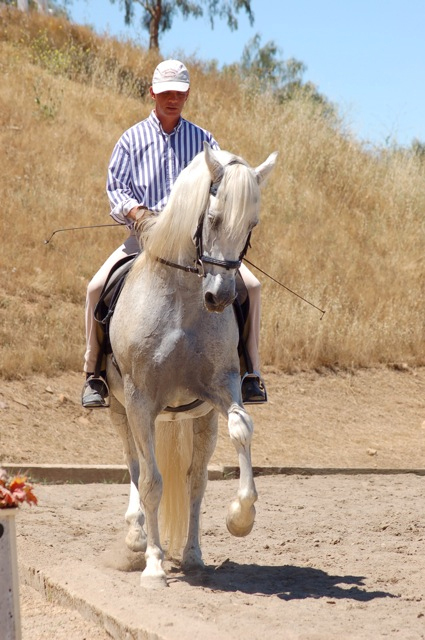 Rodrigo respects and has an open mind toward the ideas of others because he feels that there are many different levels of horsemanship. 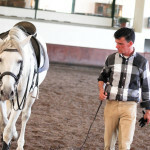 He encourages his students to question him about his teaching methods because each horse is different and there are many ways to achieve the desired results. 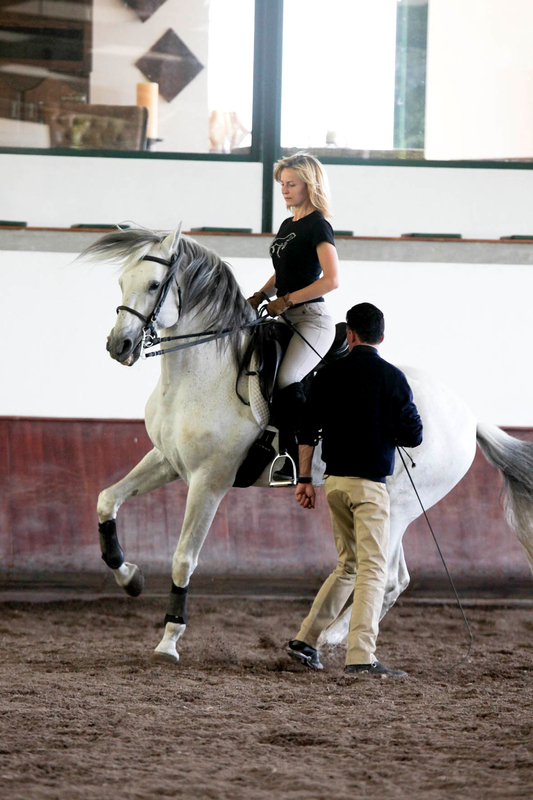 Rodrigo is genuinely interested in helping his students learn. 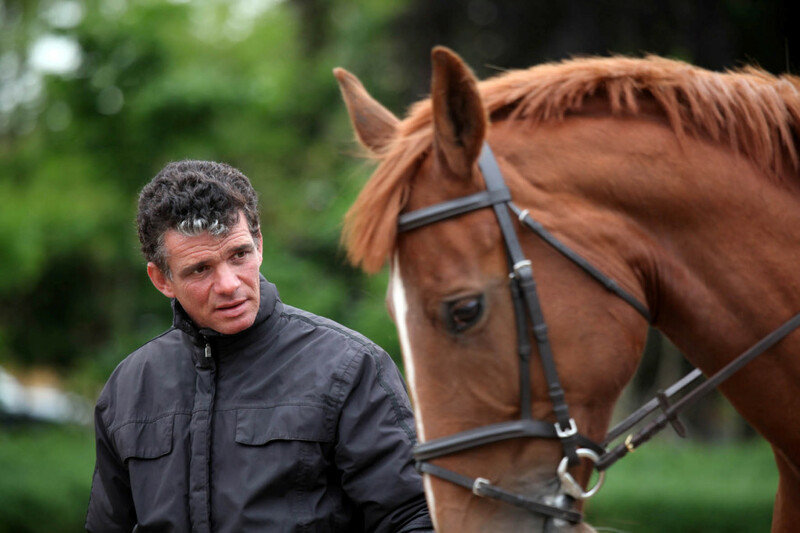 He is a somewhat quiet man who is most comfortable around horses. 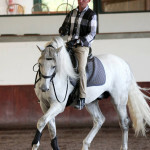 In his lessons, he demonstrates his complete focus on the horse and rider and the words he speaks for their instruction are always clear and meaningful. 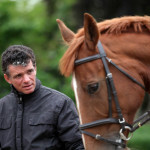 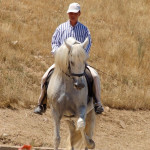 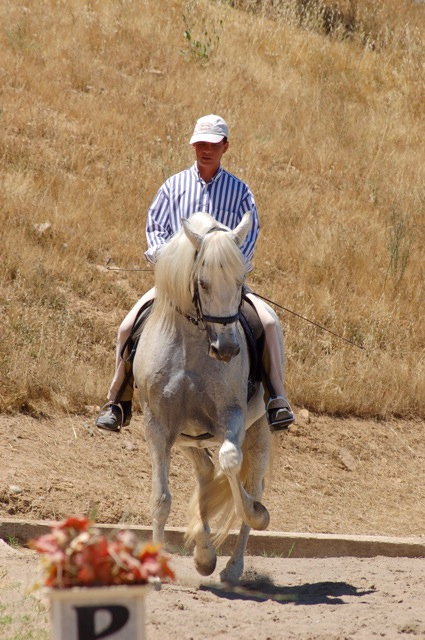 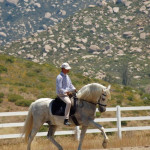 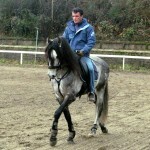 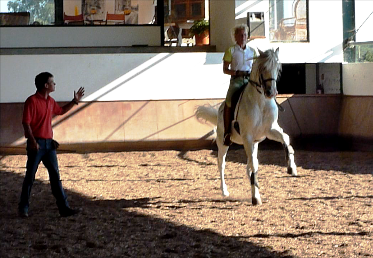 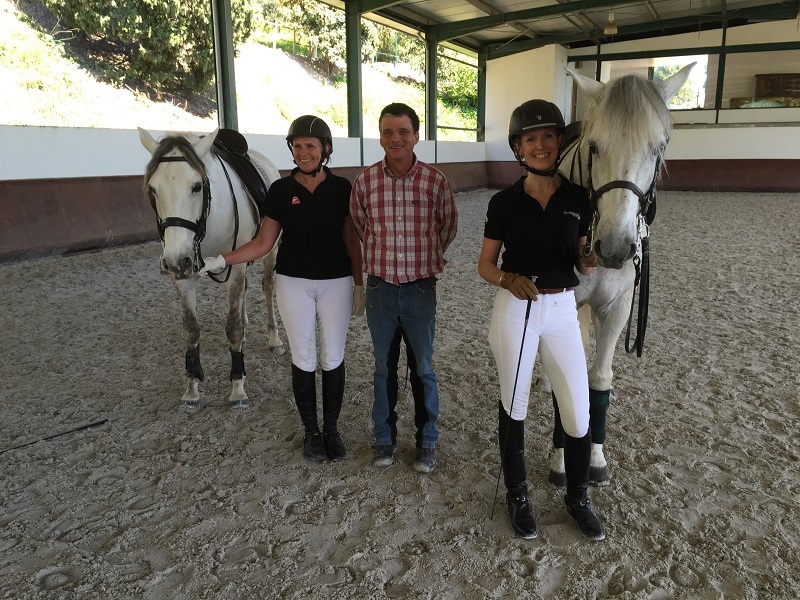 Rodrigo travels abroad many months per year to share his knowledge and to teach horses and riders to work in harmony. 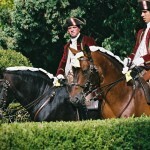 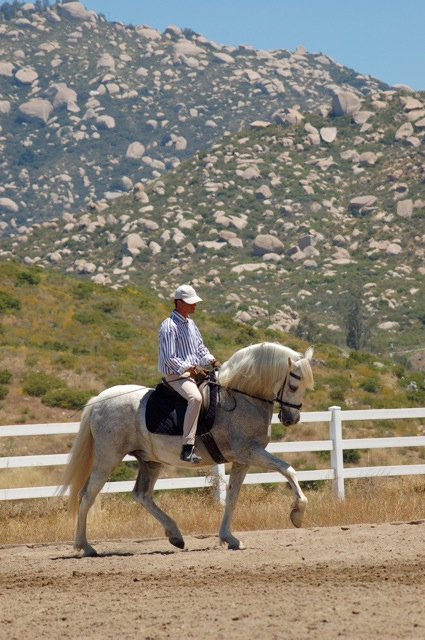 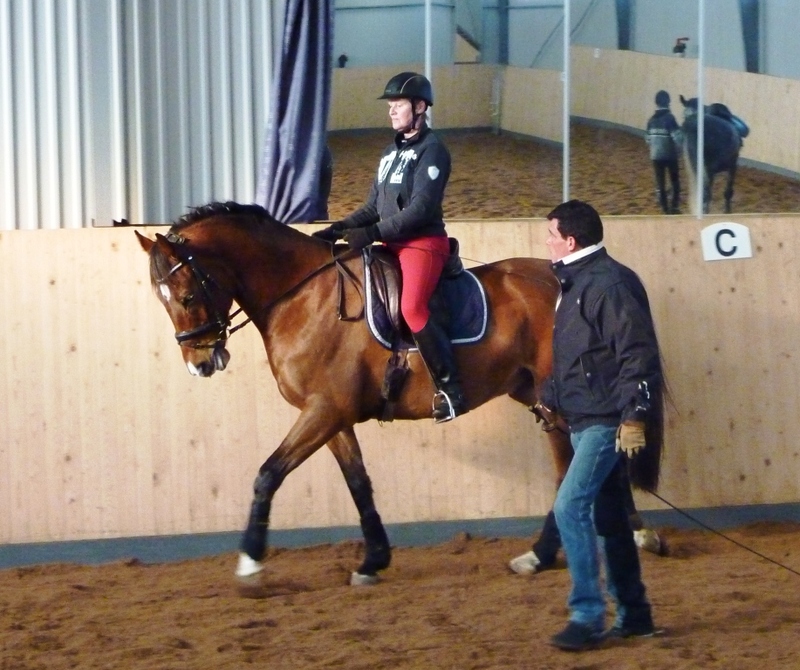 He has very broad experience teaching both horses and riders from the basic level up to Grand Prix. 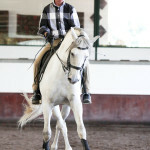 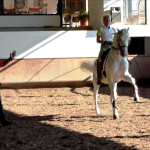 Riders of all levels are welcome to train with Rodrigo! 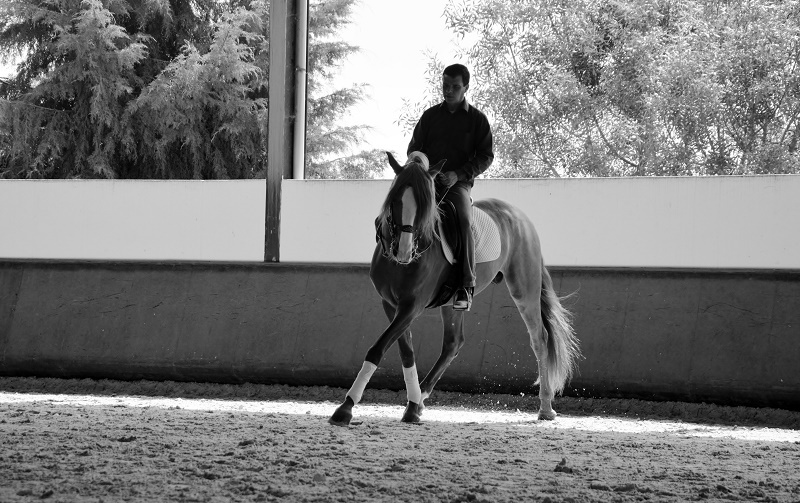 If you are interested in participating in, or organizing a clinic, please contact Rodrigo. 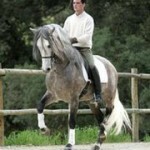 To get in touch please send and email to matosrodrigo@hotmail.com or use the form below.